On Thursday morning, I woke up to an email from Uber in my inbox. 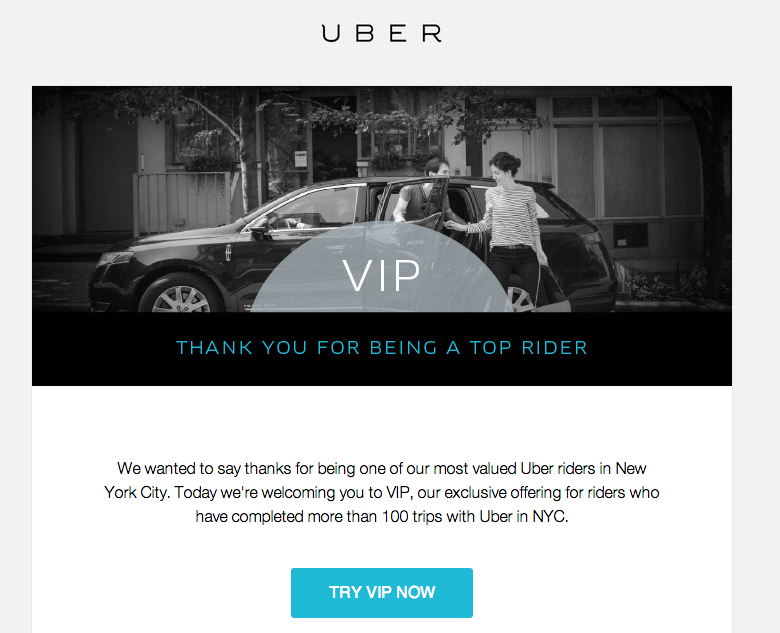 The subject line: "Congratulations, you're an Uber VIP!" It turns out that there's a little-known perk that regular Uber customers can unlock — once you take 100 rides, you become an "Uber VIP." What are the perks of being a VIP customer? When you open your app, you see a VIP option along with UberX, UberBlack, and the other Uber features available in your city. When you select it, you'll only be given drivers with 4.8-star ratings and "high-quality cars." Uber VIP isn't an option that's available everywhere — it's only available in certain areas, like New York City, Washington DC, and Denver. Its market-specific nature may be why the company doesn't advertise it like its other features. A VIP trip costs the same as a normal UberBlack ride. Unfortunately, Uber says, there are fewer VIP cars on the road — presumably because the quality is higher, and you're getting only the top-tier drivers — so you may be stuck waiting a bit longer for your car. 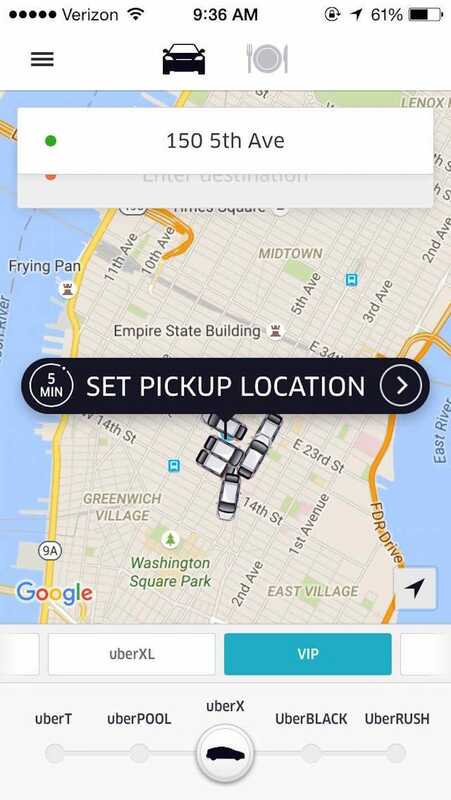 Aside from better service, there isn't much upside to Uber VIP to differentiate it from Uber's other services. It's a loyalty program for its customers that might remind you of Uber's earliest days as a company, when the service was marketed as a way for people to feel like "ballers" when they needed a lift.